When we designed the Infinity Double and Single Hung Windows, we added all the character and traditional details of wood windows — with a sleek frame for contemporary appeal. 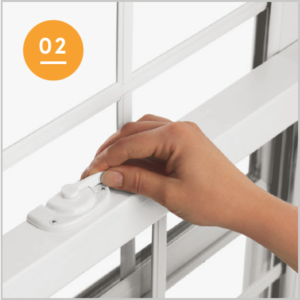 Thoughtful touches like our easy tilt operation mean you’ll be able to clean your Infinity Double and Single Hung Windows from the interior of your home. Tired of fighting your double hung windows? It is so frustrating to open and close them, and if you try to prop them open, you better make sure your hands don't get smashed. 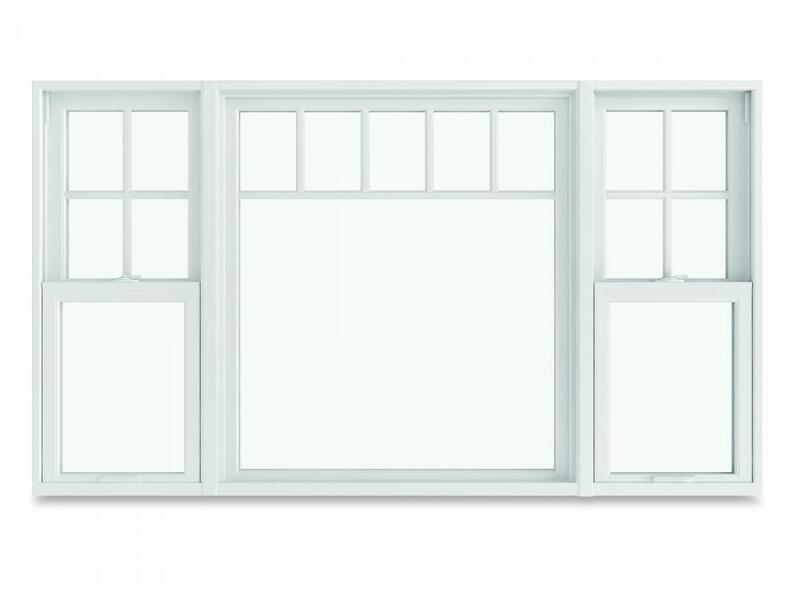 The Infinity from Marvin Double Hung is the easy answer to your problem. The operation is effortless and smooth. 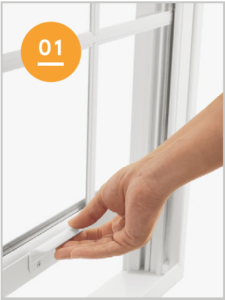 In fact, it is one of the easiest double hung windows to operate on the market. If you struggle to lift open your single or double-hung windows or have to use a dictionary to keep them propped open, you’ll be amazed at the smooth, effortless operation of the Infinity Double and Single Hung Windows. The strength and stability of our Ultrex® fiberglass frame mean your new Infinity windows will open and close effortlessly for years to come. Unlock and raise the sash slightly. Press the tilt release button and slide the lock lever over the button. 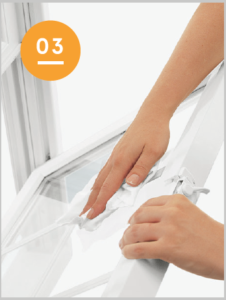 Tilt the sash into the room for easy cleaning without screen removal.